Meet the iChange team of professionals. Supervisor & clinician Amber Kuntz, MA, LPC-S, NCC and staff are available to answer questions or concerns. Thank you for visiting our site. We look forward to introducing our services to you. Because we are a unique group, we feel the best way to discover our services is with a one on one meeting. Schedule an intake so you can experience our passion to help and serve. We have many years of experience with emotional and serious mental illnesses, as well as with daily chllenges. We offer private testing for ADD, ADHD, and other concerns. Most importantly we have the option to explore various avenues if we need to such as in home or at school. We use various habit changing methods that are creative and successful. Lesley is a Licensed Professional Counselor and a Licensed Chemical Dependency Counselor. She graduated from the University of North Texas with a Bachelor of Arts degree in Psychology and with a minor in Addictions; and from Texas Woman’s University with a Masters of Science degree in Counseling and Development. She believes counseling begins with building a safe, open, and trusting therapeutic relationship. This provides many benefits and helps utilize an eclectic approach to bringing about growth and reaching any goals for counseling. Lesley is experienced with individuals, couples, struggling teens, groups, and families. Her experience also includes anxiety, dependency or addiction concerns, depression, crisis management, trauma, grief, self-esteem, building healthy relationships, life skills, divorce, intimate partner abuse, and parenting. Vanessa Sablar is a Licensed Professional Counselor who works with individuals, couples, families and children. Her therapeutic approach is to provide support and practical feedback to help clients effectively address personal life challenges. She integrates complimentary methodologies and techniques to offer a highly personalized approach tailored to each client. She has a Bachelor’s of Science degree in Psychology and a Master’s of Arts in Professional Counseling. Vanessa has two kiddos and lives with her husband in Highland Village TX. Her goal is to help you uncover your true potential and lead a life that is worth celebrating. Dena Daniel is a Licensed Professional Counselor. Dena takes an eclectic approach to therapy and tailors her interventions to meet the specific needs of each client. In 2007, she graduated from the Texas Tech Honors College with a Bachelor’s in Psychology. She obtained her Master's degree in Counseling Psychology at Texas Woman’s University in 2011. Dena has experience in both individual and group therapy with people facing many challenges including depression, anxiety, self harm, trauma, sexual assault, domestic violence, substance abuse, and a variety of other issues. Anna Cisneros is a Licensed Professional Counselor who works with adults, families, children and adolescents. Anna believes each individual has their own set of beliefs and life circumstances shaping them into the unique person they are. 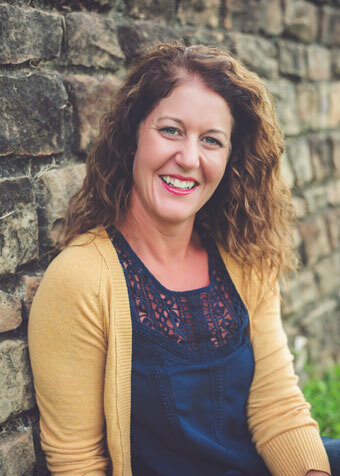 Anna tailors her counseling style to the specific needs of each client, yet consistently encourages clients to utilize the strengths within themselves to overcome any challenge they may encounter. Anna received her Bachelor’s degree in Psychology from Texas A&M University and her Master’s degree in Counseling from St. Mary’s University. Anna has 8 years experience with child/adolescent and family therapy. She enjoys helping clients with difficulties such as anxiety, ADHD, depression, low self-esteem, anger management, stress and parenting. Anna is fully bilingual (English/Spanish). Nicole is a Licensed Professional Counselor and a Licensed Chemical Dependency Counselor. She achieved her undergraduate degree in Psychology (Bachelors of Science) from the University of Science & Arts of Oklahoma and her graduate degree in Rehabilitation Counseling (Masters of Science) from Langston University. She has worked with adolescent, adult, and geriatric populations. She has experience in individual, family and/or couples relationship counseling to address such issues as depression, anxiety, substance abuse, trauma, communication, life skills, and various other issues. She feels that change is possible for all who are willing to work on their issues while embarking on a new journey, and striving for self-sufficiency and emotional stability. Her goal is to help individual achieve and maintain their highest level of emotional independence while moving past their past and focusing on their future. She believes that self-care starts with self-preservation and acceptance of things one cannot change. Parthi is a Licensed Professional Counselor-Intern supervised by Megan Shelton, LPC-Supervisior. She gradated from University of North Florida with a Bachelor of Arts degree in Psychology and Criminal Justice; and from University of Texas-at Tyler with a Masters of Arts in Clinical Mental Health Counseling. Her passion is to help individuals live intentionally. To be vulnerable, to be strong and to be passionate. She uses an electric approach to allow her clients to grow and accomplish their goals. She believes that every person is different and she makes it her mission to understand the personalities of her clients, in order to find the best approach. Parthi is experienced with individuals, couples, group, struggling teens, and families. Her experience also includes anxiety, depression, crisis management, trauma and abuse, self-esteem, life skills, and parenting. Ashley is a Licensed Marriage and Family Therapist. She graduated from Texas Woman’s University with a Master of Science degree in Marriage and Family Therapy. She is also currently attending TWU working towards her PhD in Marriage and Family Therapy. In therapy Ashley uses a variety of interventions and therapeutic techniques in order to achieve the best outcomes for each individual client. She has experience working with individuals, couples, families, and in group therapy settings with clients that have experienced a variety of challenges. She also has experience working with children and adolescents who have been diagnosed with Autism, Asperger’s, Oppositional Defiant Disorder, and have experienced social skills challenges. Ashley has a passion for working with her clients to achieve their greatest potential through finding exceptions to the presenting problem and finding solutions to these issues in order for the client to live their best life.